Support TREC Foundation and the Dallas Catalyst Project this North Texas Giving Day! 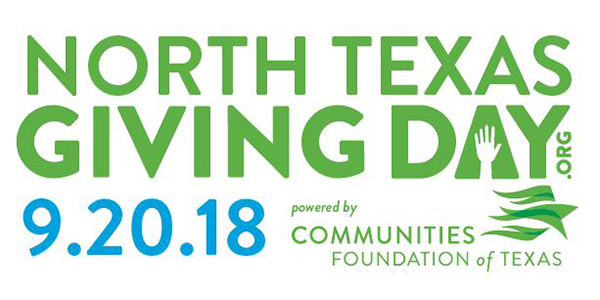 Organized by the Communities Foundation of Texas, North Texas Giving Day is an annual, 18-hour online giving event – this year it’s on September 20 from 6 a.m. to midnight – designed to empower everyone to give back to their community by supporting local nonprofits and their causes. 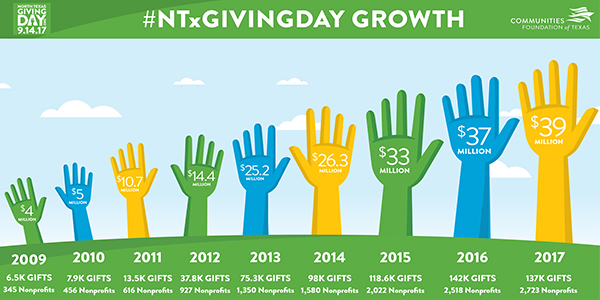 On North Texas Giving Day, anyone can be a philanthropist. 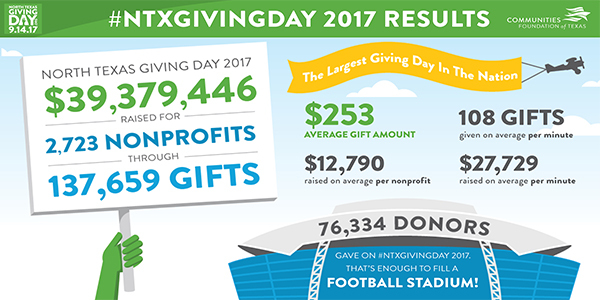 Since 2009, North Texas Giving Day has raised more than $195 million benefiting more than 2,700 nonprofits, making it the largest community-wide giving event in the nation. Last year alone, the initiative raised $39 million through 137,000 gifts. What is the Dallas Catalyst Project? The Dallas Catalyst Project is a collaborative Forest District neighborhood revitalization initiative anchored by partnerships with Cornerstone Baptist Church, St. Philip’s School & Community Center, CitySquare and the Forest Theater and catalyzed by The Real Estate Council Foundation. Together we have committed to understanding and executing the community’s vision for a revitalized Martin Luther King Boulevard and the surrounding neighborhoods. Though TREC Foundation has pledged an initial $1 million investment over three years and professional services from our members and their companies, your donations would help increase the overall scope of the Dallas Catalyst Project work to not only provide jobs, services, attainable housing and the infrastructure necessary to create a livable and walkable community for Forest District residents. Now through September 19, you can schedule a donation in advance here. You may also donate on September 20 from 6 a.m. to midnight. Once you schedule a donation, you will receive a confirmation email. On September 20, once your gift has been processed, you will receive a receipt for your donation and will be eligible to win prizes and bonus funds that match your donation on a prorated basis. Each year, Communities Foundation of Texas partners with foundations, companies and individuals to award prizes throughout the day. You can see a list of this year’s prizes here. If you’d like to donate anonymously, there are two options: You may make a “publicly anonymous” donation wherein your gift will not appear on the “Look who just got a gift” banner on the North Texas Giving Day homepage, but the nonprofit(s) and the Communities Foundation of Texas would receive your information. You may also make a “completely anonymous” donation, in which your gift will be completely anonymous to your chosen nonprofit(s).